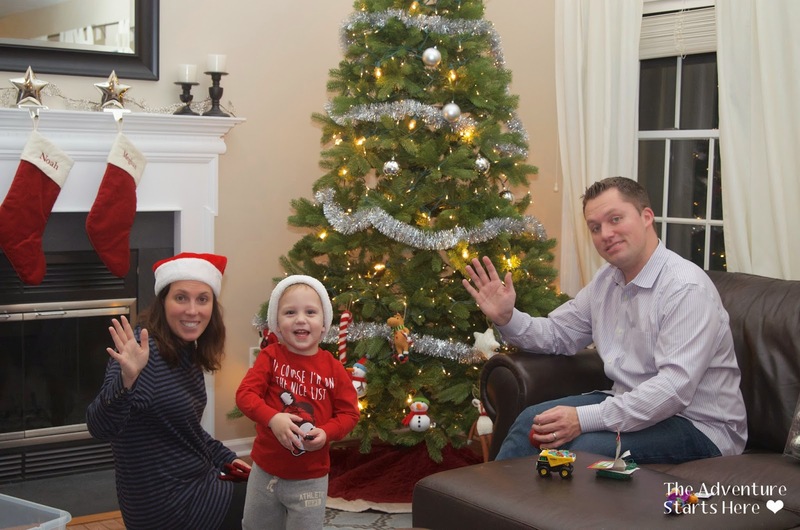 On Friday night, we decorated the Christmas tree as a family while listening to Christmas music. We had put up our new 7 1/2 foot artificial tree and lit it before we left for Toronto, but we had yet to put all the ornaments on. I've been battling a cold, but I persevered because I knew Noah would enjoy it. We even set the camera up on the tripod and used the remote so we could get some shots of us mid-decorating. While my tree may not be worthy of a magazine cover (or even the inside), I love it! I stocked up on felt ornaments this year and purposefully hung those all on the bottom. 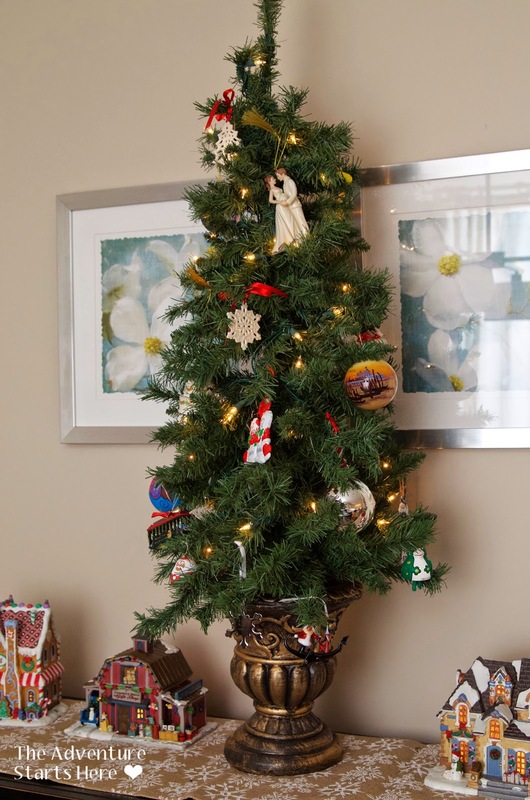 Then there's a small undecorated gap in the tree before the breakable ornaments start. We got some regular bulbs at Target and the price was so great that if a few break we won't be freaking out. We then added all the sentimental ornaments to the tree. We had more than I expected, so I only hung the ornaments we got after having Noah on this tree. 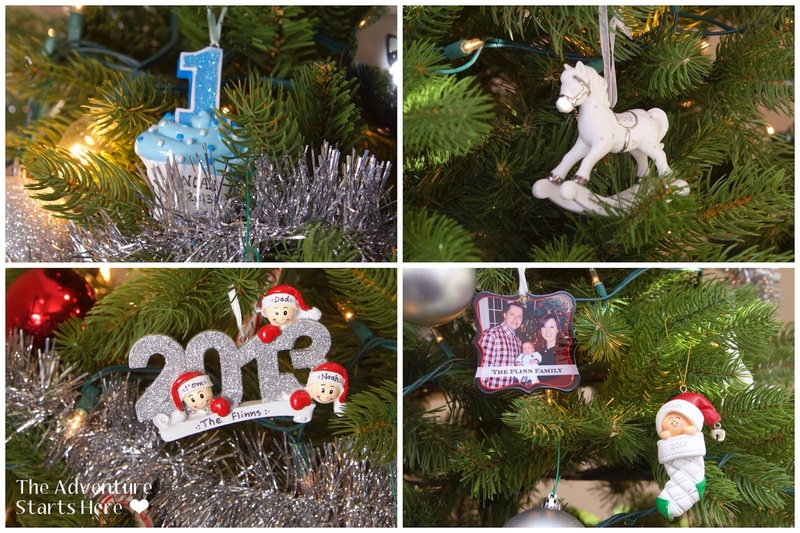 ^^^ Here are a few ornaments from previous years. I hung our "pre-Noah" ornaments on our 4 foot tree in the dining room. Since it's on the sideboard there is less of a chance of these being broken. 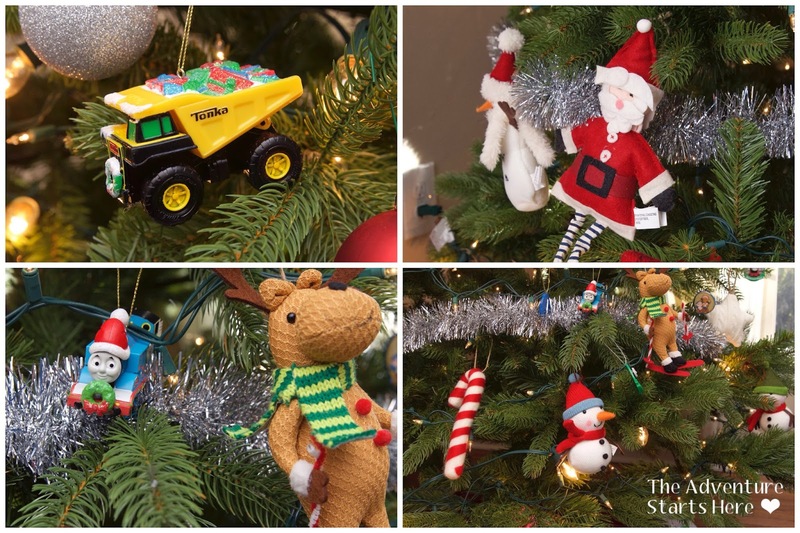 Is your tree up and decorated yet? 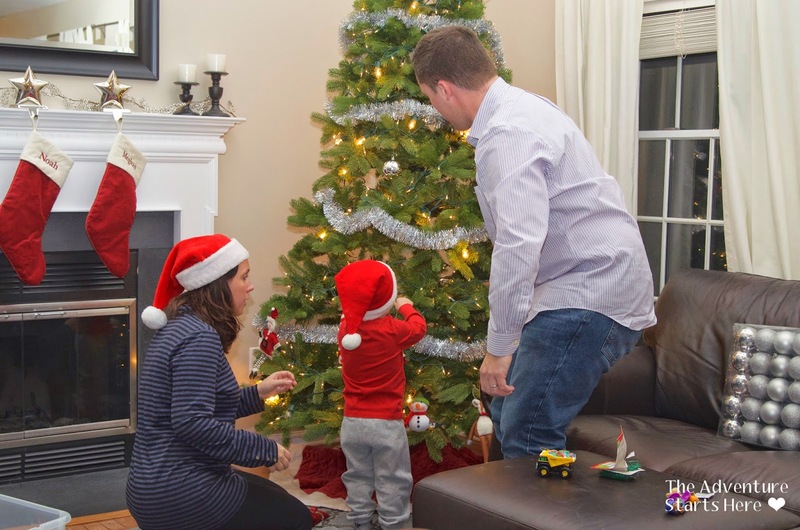 Do you get a real or artificial tree? Do you try to color coordinate or hang sentimental ornaments? 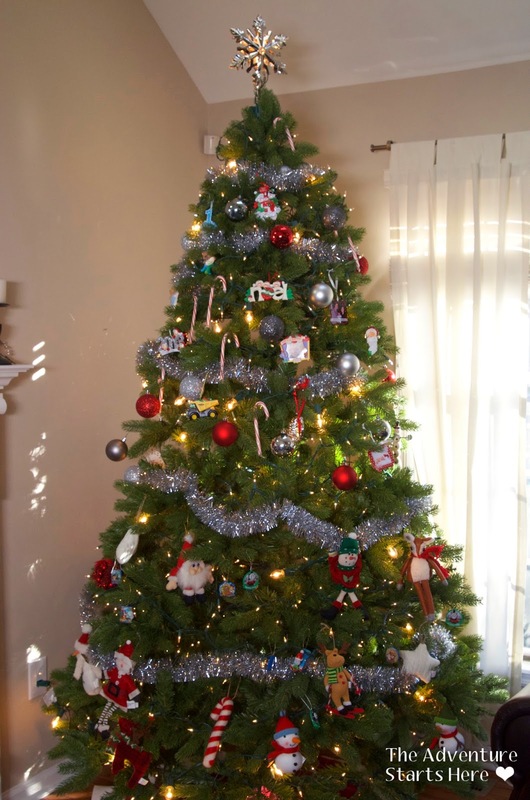 Your tree looks so cute! And you are so smart for putting the felt ornaments where little hands can get them. Mason wanted to help decorate but didn't quite get that we had to hang them on the branch so he just set them there and they fell off. They didn't break and bless his little heart, he was doing so well. It's so fun to see kids at Christmas time! Good idea bout putting the felt ornaments on the bottom! This is is the first year Elin has had a lot of interest in the tree. Beautiful ornaments and tree!